'We believe you'll be able to bring them home,' they say. The sisters of kidnapped teen Gilad Sha'ar released a public letter to IDF soldiers actively participating in Operation Brothers' Keeper Tuesday, providing encouragement and gratitude despite the long days ahead. 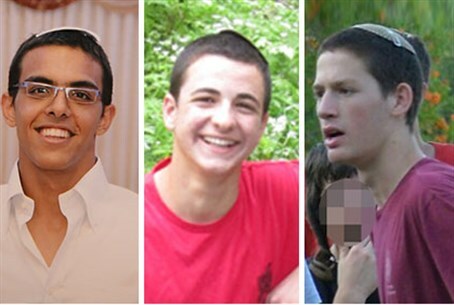 "Since the abduction, we cannot sleep at night," Shir-el, Tahar, Meitar, Hallel, and Me'or Sha'ar wrote. "We know that you can't sleep at night, either, as you do everything you can to bring back Naftali, Eyal, and Gilad, safe and sound." "We feel that every soldier that is out there looking for Gilad is like our own brother, part of our family," they continued. "We believe you'll be able to bring our brother home to our mother's embrace." "With God's help, one day Gilad will also become a soldier himself and be proud to wear the army uniform," they added. "We miss our Gilad." Over 15,000 soldiers are participating in the operation, which is now opening its twelfth day. Over 360 terrorists have been arrested, and 1,800 sites searched; the working assumption is that the boys are alive. Several IDF commanders revealed Tuesday that, despite the harsh conditions in the field, motivation on the ground is high.